After I asked Simon if he'd like to embark on a Whole 30 journey with me and he read the basic gist of the program he said, "so what I'm reading is that you can either do the Whole 30 or you can have fun." And 2.2 days in he is still asking things like, "so, would organic mac and cheese be okay?" and, "I guess I don't get how a whole wheat bun is any less healthy than torture" so it's been really great to have a support system through my hours of sugary NEED. And yes, I realize I am the last of the blogging world to do the Whole 30 and blog about it. Simon asked if I was going to blog about it and I said, "no, definitely not." After reading Sarah's account of her experience so far (heart her honesty, so much!) and then a little insta-push from Jolie and yet another night of the insomnia that's plagued me since high school that I'm fairly positive could potentially be helped (cured!) by a little change in diet .... I decided to hop on the 290821391839018309182309138th bandwagon of my life. You'll just have to wait for my capsule wardrobe post next week. Okay, but really. I did Atkins in college (with my bff+e and will still talk about those glory days) and I've done the 21(ish) day sugar detox so I'm not totally unfamiliar with nixing sugar. I don't eat a ton of starch but I do enjoy my unfair share of dairy so that might be the most difficult part. Simon's "modified" version of his Whole 30 includes Greek yogurt ... fair enough. And we haven't bought any Halloween candy yet so I'm not tempted by Satan in the pantry minute after minute, hour after hour for the time being which is nice. I will admit that I'm sort of going through semi-sweet withdrawal. I don't think I realized how often I'd grab a handful from the Costco bag of goodness. I think it was probably every time a child cried or whined. So ... not that much. At all. I've been scouring Instagram accounts (loving this one) and pinning a few things here but I know you fine people have some great resources to share, or that is my hope. This grocery haul got me through two meals. Not pictured: 89 dozen more eggs and some super thrifty grass fed beef. Since I decided to start the program with nary a stitch of planning (so unlike me, laugh) I had to make up for lost time with a huge trip to the newish-to-us huge grocery store yesterday with the kids in tow. Of course after four minutes of throwing pounds of vegetables in my cart Julia announced that she, "riddy needed the restroom!!!" and so, we went to find it. After almost circling the entire premise in search of an employee ... we found one. I asked where the restrooms were and he said he'd be happy to walk us over, "they're in produce" (weird, and also across the store, where we just were). So .... we hiked back to produce where he stopped and presented us with .... the mushrooms. Anyway, have you done it? (Britt's on day 23! amazing!) Do you think I'm an idiot? (answer that in your head) Any tips? I have to say that I might get stoned but I'm not entirely on board with the whole, "going against the spirit of the Whole 30" thing. I made a quiche with sweet potato crust last night that was really good (Simon agreed, or he lied) and I'm fairly certain making substitutes like that are frowned upon but ... I'm not a rockstar. The spirit just might have to be broken, on occasion. And don't worry, I'm only going to blog about it every time I eat. Been there and going back in on Monday, as inspired by Jolie! I made it about halfway last time... I think I can do better this round. Planning to go through Nov 22 because I am flying to Minneapolis for an outdoor NFL game the next day. No way do I get through that without beer. My key was becoming a semi-insane meal planner. And also breaking the spirit of the thing with smoothies. Compliant almond milk means it isn't cheating, right?? I have a meal plan for next week set, except for Monday where I have to go to a gala... We will see how that goes. I am going away for the weekend, so here's to a 9pm grocery run straight from the airport on Sunday night! do you make your own almond milk or is there a brand you can buy? I have TRIED making my own, it did not go well for me. There is a list of compliant almond milks somewhere -- I forget, but basically it means making sure there are no additives like carrageenan. Luckily I can buy a local DC brand that is raw, unpasteurized, and just almonds and water. $$$ but delicious. oh jealous! I will google that list. You've got this!! And, I think going against the spirit is maybe the only way to get through it ;) Stone me, too. Never will I ever jump on this particular bandwagon. We don't do a ton of desserts anyway (hard to believe considering the giant bag of Halloween candy I bought that's not really intended for Halloween) and I just love me some pasta & dairy goodness. Good luck to you though! And way to have Simon (kind of) on board. I won't mention what I'm snacking on right now...but it's totally not Whole 30 approved and is covered in a sugary brown substance. Just wanted to say, you are a super hero if you do this, because I have one 10 month old, and I live on tortillas, egg beaters, and cheese. Oh, and wine. No joke, only 4 things that are ever on my grocery list besides baby appropriate foods. ha. oh I feel you. I liveD on that too!!! Hhahaha they took you to the mushrooms. How did you recover? I would have laughed too much to maintain any semblance of politeness. Did you ever find the restrooms? I did the Whole30 in January and enjoyed it (mostly). 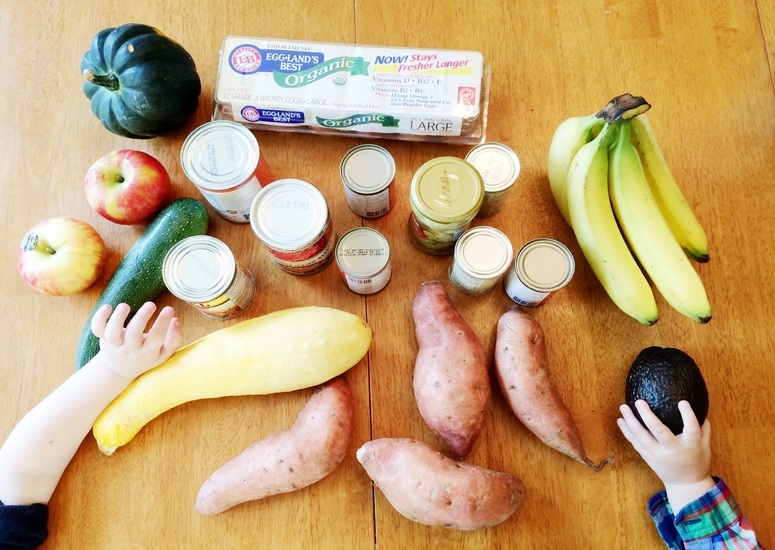 I felt like the first week of the Whole30 I was in the kitchen all of the time doing meal prep which was annoying with a newborn and a 2 year old. Here are some recipes I found that didn't require much prep, are tastey, and make leftovers. I'm on day three! Trying it again. I've started and failed one or two other times. It's hard but I'm hoping to help quiet my sugar monster. I've done it, after a few years of wheat-free and sugar-low eating, once I noticed the sugar was creeping in. I think that helped a little, no crazy withdrawals atleast. ANYWAY, I agree with you that the spiritofwhole30violations being out is dumb. And sorta cultish. But, it might depend on the person, some will essentially recreate their old diet with a new grain, or whatever. So for thirty days, if you need the help breaking a habit or something similar, I can see the idea behind it. Ignoring all that, I will say it was a good way to stay off the sugar, though it is less effective (for me) in establishing something permanent. I sort of just went back to sweets when it was done, though I have been limiting them to weekends! Ahahaha nothing make me laugh harder than capsule wardrobes as I wear the ultimate capsule wardrobe as an active duty AF officer. My Whole 30 fell to bits so quickly... I think the secret is spaghetti squash and cheater's pesto. I like the idea.. but I'm picky, plus have celiacs... I need to eat grains and beans otherwise there is nothing for me to eat. I wish I could do it but still eat those things, and without meat too (see=picky). Older. For sure. With my first two, I dropped with weight so easily. The last two, not so much. So is low carb the secret to looking like a legit model after 4 kids? I'm not flattering you, I really want to know ;) Also, please do share if the whole30 actually helps you with the night anxiety/ fear of intruders because that might be enough to make me jump on this bandwagon! I did it once, and it was good but the no dairy was hard for me. Honestly, hard boiled eggs were a complete necessity. If you always have nuts or hard boiled eggs around, then you cannot starve. you can crave, but not starve. The thing I tried to remind myself was that if I didn't want one of those things, then I probably wasn't "hungry," and maybe a cup of herbal tea would work. I also ate tons of avocados. They were just about the only thing that could distract me from the cheese I was not eating. breakfast was usually sliced avocado with smoked salmon and bell peppers or tomatoes. You can also just put salt on them and eat them with a spoon if you're desperate. Maybe it's cheating, but almond butter and apples was another common snack choice for me. And I ate ungodly amounts of cauliflower. Dinner every night was basically meat/fish/chicken with roasted cauliflower or broccoli, salad, and maybe sweet potatoes or squash if I had the energy. Also hamburgers are awesome with sliced avocado and salad. The only problem with that was no worcestershire sauce, and also you have to make your own ketchup, but it can be done. are the kids doing it, too? i was gonna say, you're a brave, brave (!!) woman! After the low-iodine diet and having to give up all dairy while nursing Henry, I have decided I love myself too much to restrict my diet. I'm kind of an "everything in moderation" kind of person. But what I did learn from LID is that planning ahead is crucial. It's a lot harder to fight off temptation when you don't have your next meal figured out. Oh sad I just wrote this huge comment on my phone and it didn't post. Lame. Quick summary- did this back in june, it's a great way to feel in control of your food. It's super expensive. It definitely helped me get to bed earlier and wake up more alert. Coconut aminos are a great soy sauce substitute for Asian flavored recipes. SALTED almond butter from TJ's and carrots or apples were my go to snacks or fresh bell peppers. Buy meat in bulk at Costco and freeze some. They have some yuuuuummy steaks. I found I didn't have enough energy to exercise until I started pounding sweet potatoes. I hope you like eggs... In the 30 days my husband and I ate over 6 dozen eggs. Yikes. Oh my fave recipe was spicey sweet Potato hash browns with a fried egg with a runny yolk and green onions. YUM. Oh and my kids were usually more than willing to eat whatever compliant food I made for dinner which was surprising! Also I would NEVER do it again haha. I have some insomnia over here and never even thought about it being affected by my diet other than I don't drink caffeine after the morning. so please share if it helps you with that!!!! that being said I'm not even sure I could do it even if I knew I'd sleep! I am not strong enough to do this but I look forward to reading about it! I meant to put a couple of the whole30 approved things I absolutely love! My go to breakfast is either turkey sausage or Aidells chicken and apple sausage(the best deal is at Costco-15 for $13.99-totally worth it!) mixed with sweet potatoes (adding cinnamon and paprika adds a bit of kick). I love the avocado cilantro dressing in It Starts With Food-over salads, chicken, sweet potatoes, anything really(okay maybe not everything but definitely a lot of things). We also make a lot of burgers so instead of the bun i'll slice sweet potato rounds and bake those and use those as the buns, normally I actually like that better than a real bun. Delish! Good luck! I can't to hear your success! I need more motivation! I started the whole30 a few months after I had my baby. So a few months ago now. Since I was (and am) nursing I did a lot of research and read everything I could about how to get enough calories to sustain myself. On day three I could see a dramatic drop in my milk production, so I called my husband and told him to pick up some burgers, fries, and milkshakes for dinner. He was confused, but thrilled that I was giving up. He was super into the diet change. He didn't make constant comments about all the "real" food we could be eating (laugh). I think it is a great idea and if I wasn't nursing I think I could have done it. I didn't have any trouble with withdrawals, but I was only day 3, so… I just think you basically have to be prepping and eating constantly and aint nobody got time for that. Good luck! I wish you better success than I.
I really, really wasn't going to do the Whole30. I thought it sounded like a great idea for people that needed a good start on a healthier diet, but I figured I was doing okay. Then this week, my body has gone haywire with allergies and I have to do something, so I sort of started Monday, though I wasn't very good the first couple of days (the lack of planning thing for me as well), so maybe I should count today as the first day. Seriously though, if food wasn't making my mouth itch, I'd probably quit right now. I am so hungry and I just finished a big chicken breast with salad and a whole avocado. What else am I supposed to eat? More salad? Gah! So many freaking vegetables! GREAT JOB raising the kids and being healthy! I wish I had done that when our kids were younger! I bought it when it first came out!! So good, you're right!! Awesome!!! I have really been wanting to do this. Doing a farm share for our veggies and eggs...but still have to convert the meat! Happy dance for you!! I can't wait to get your texts of delicious recipes. If I had any in my arsenal, I'd send 'em...but we are going on week four of boring with a side of boring! I am trying out that one recipe though!! And thanks for the shout out. Honesty is my best policy. Truth. If you don't want to go strict, you could start by going paleo. Starting our second Whole30 on Sunday. I have mixed feelings about it, I really liked how I felt/slept without the sugar and grains but HALLOWEEN CANDY. I think it takes a lot of planning to be successful in the beginning, especially when you're out and about and everyone starts to get hangry. I am shocked you haven't grabbed the 2 dozen organic eggs from Costco yet! I've read about the whole 30 several times...and just can't bring myself to skip my nightly glass of wine. Many of the other things I can do, but having a glass of wine while I make dinner and the kids go bonkers as usual just keeps me from totally losing it during the witching hour. Oh, and also, half-and-half in my coffee. I tried coconut milk once and it just made little oil slicks across the top of my coffee. gross. anyway, good luck and hope you feel all the benefits quickly! this is highly impressive! i sort of feel like i might jump on the over-populated bandwagon as well after i get back from china (!) in two weeks. chicken feet and duck liver will most likely need to be detoxed from my body. keep strong! Oh man. You are much stronger than I am!! Good luck! Susan, at 2 Cats & Chloe, has done this many times and she has some good reads/whole section on her blog devoted to clean eating: http://www.2catsandchloe.com/. I failed this one. But it did make me more mindful of my sugar intake and upped the veggie quotient, so win? Oh goodness, I don't think I could do it. Its just a whole lot of no, isnt it? I actually crave fatty foods more than sugar. I think. That said, now I'm craving a bowl of ice cream. Drat. I just (randomly) started following you on Instagram, and now I find you're doing a Whole30. RAD. If there is anything we can do to help, let me know. I'm late to the Whole30 post party - out of town this weekend. BUT, my husband and I just did it also and he's a total supporter at this point. I "fooled" him into doing it by telling him we were actually going Paleo, which is basically the same with a few modifications. He refused the Whole 30, but felt like he could do Paleo. Man management....! I also allowed him a "cheat day" a week - and after he cheated the first weekend and felt so awful, he acknowledged that maybe that wasn't the best plan. So after doing it for 30 days, we're really sticking with it most of the time. We just feel better when we do. We have the occasional glass of wine (although we've starting drinking cider, which is a better option) and the occasional sweet, but the majority of our meals are clean eating. I highly recommend searching online for anything you want to make and add the work "paleo" after it. You will find a ton of recipes that are compliant and easy to make. Even my kids eat it. And unsweetened organic almond milk for your coffee. Seriously a life saver. Did you find it ever helped with your insomnia? I'm about to start whole 30 on January 2 and would love to know if that helped you! Best sleep of my life! !